Has eugenics faded away with time, or has the pseudo science morphed and cloaked itself under new auspices? Were some of the original founders of population control efforts themselves eugenicists? How and when did eugenicists shift from Galton era ideals to Malthusian population control? In this interview, Dr. Tarpley reviews the writings of John P. Holdren, the current White House science advisor. This interview conclusively exposes scientific elite’s true agenda, world-wide genocide and the formation of a global government to rule. World-renowned libertarian Lew Rockwell, the co-founder of the Mises Institute and Ron Paul’s former congressional chief of staff, joins the show today to discuss the the plan to start world war 3 by the elite. Historian and author Webster Tarpley exposes how White House science czar John P. Holdren, who infamously co-wrote a 1977 textbook in which he advocated the formation of a “planetary regime” that would use a “global police force” to enforce totalitarian measures of population control, including forced abortions, mass sterilization programs conducted via the food and water supply, as well as mandatory bodily implants that would prevent couples from having children, is a Malthusian fanatic in the tradition of the arcane anti-human ideology that originated amongst British aristocracy in the 19th century. Holdren calls himself a “neo-Malthusian” in his own book, and as Tarpley explains, is a historical pessimist who has rejected the idea that America and humanity as a whole can progress through ingenuity, industry and economic growth. Instead, Holdren sees humankind as a cancer upon the earth. Holdren wants to set up a “Science Court,” where potential developments could be blocked by government decree if they don’t conform to the planned society necessary under Holdren’s “planetary regime”. He also seeks to institute “de-development” worldwide to prevent the third world from ever lifting itself out of poverty and roll things back to “pre-industrial civilization” where average life spans would not be much more than 30 years. Holdren’s co-author, Paul Ehrlich, is a discredited crank who wrote books in the 70’s claiming that England would not exist as a land mass by the year 2000 because of climate change. As Tarpley explains, Ehrlich’s warning of a “population bomb” has proven incorrect, with population in Europe, Japan and the United States falling when immigration is removed from the equation. “Do you trust the federal government to make the Internet ecosystem more vibrant than it is today?” FCC Commissioner Ajit Pai stated, who broke rank to oppose the proposed regulations. “Can you think of any regulated utility like the electric company or water company that is as innovative as the Internet?” Federal Communications Commission Chairman Tom Wheeler is refusing to appear before Congress as the FCC prepares a regulatory Internet takeover. 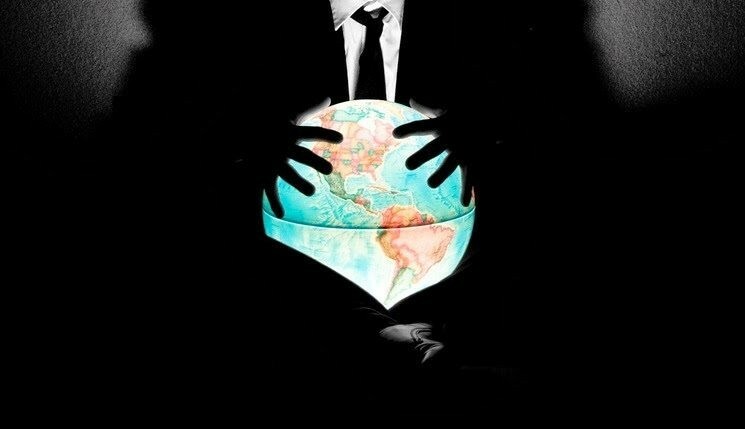 For the New World Order, a world government is just the beginning. 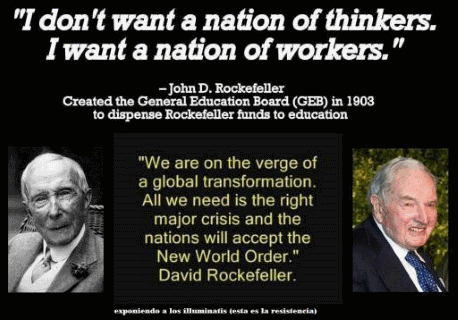 Once in place they can engage their plan to exterminate 80% of the world’s population, while enabling the elites to live forever with the aid of advanced technology. For the first time, crusading filmmaker Alex Jones reveals their secret plan for humanity’s extermination: Operation END GAME. The history of the global elite’s bloody rise to power and reveals how they have funded dictators and financed the bloodiest wars – creating order out of chaos to pave the way for the first true world empire. 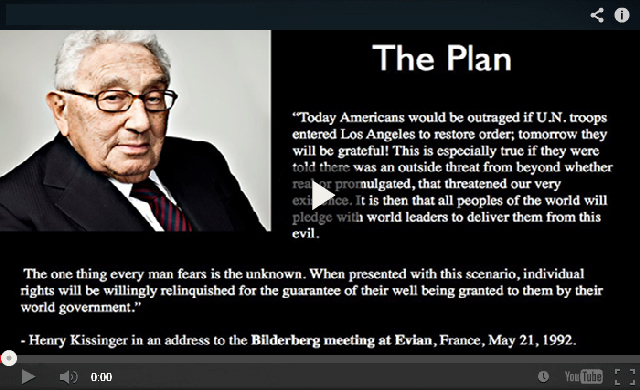 Bilderberg Group to Ottawa and Istanbul to document their secret summits, allowing you to witness global kingpins setting the world’s agenda and instigating World War III Learn about the formation of the North America transportation control grid, which will end U.S. sovereignty forever Discover how the practitioners of the pseudo-science eugenics have taken control of governments worldwide as a means to carry out depopulation View the progress of the coming collapse of the United States and the formation of the North American Union. 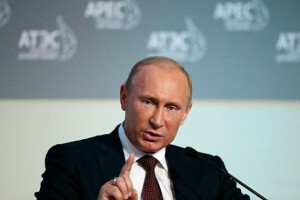 The following are excerpts of Putin’s speech was directed at Western elites. – Dr. Eric Pianka University of Texas evolutionary ecologist, recommending solutions for reducing the world’s population to an audience on population control. There is no modicum of evidence to support the notion that globalization, interdependency and centralization actually work. One need only examine the economic and immigration nightmare present in the EU to understand this. So, the globalists will now argue that the world is actually not centralized ENOUGH. That’s right; they will claim we need more globalization, not less, to solve the world’s ailments. … a prison without borders where globalized thinking will replace passports and provide the “freedom” to exist. "They shall learn war no more!" (Isa.2:4). The following sounds like common sense concerning BREXIT possibly being forcibly overturned by a high court of the UK (THE NWO Elite) & the PRESIDENTIAL ELECTIONS in the USA next Monday being totally RIGGED, to make sure Donald Trump simply CANNOT WIN. - Is THIS What's Coming To America? If Americans and the world needed any more proof that we may soon be witnessing a SHTF situation, we get it straight from the UK where Brexit has been shot down, if only temporarily, by a High Court ruling that has not only thrown Brexit into chaos but has already gotten angry Brits talking 'civil unrest' and 'constitutional crisis'. While the US may soon have our own 'Constitutional crisis' to deal with if Hillary Clinton is soon indicted but not soon enough to stop her from being voted into the highest office of the land in America (thus PROVING America is completely insane), we see the will of the people in the UK being completely ignored by those who lord over them, the same globalist overlords who've been working for decades to take down America. And with Brits talking civil unrest as seen in the highest rated comment from this Daily Mail story as seen below, we remember the words from the mouth of Rahm Emanuel who said "You never let a serious crisis go to waste. And what I mean by that it's an opportunity to do things you think you could not do before" to see the direction that this is all going. 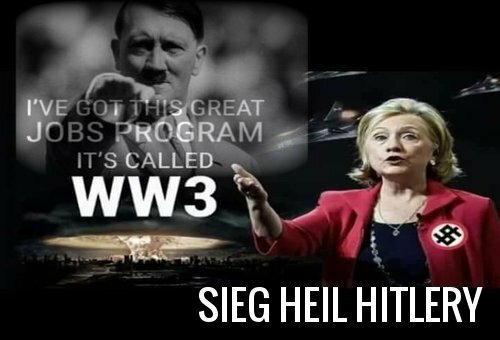 As we hear in the 1st video below from Michael Savage on his November 2nd show, talk of civil war is in the air here in America and as Savage is told by a CIA-insider who calls in, despite what many Americans might think, most of those who work inside the CIA and the NSA completely despise Hillary Clinton and support Trump, 85% by his estimate. Proving to us how badly Clinton has already betrayed America, we're told that many Americans now working overseas, especially those working in a covert capacity, may have had their lives put in danger as foreign intelligence agencies across the entire world likely were able to gain access to Hillary's highly classified emails due to her carelessness. The fact that John Podesta warned Hillary to stop discussing sensitive information via email should have sent up a major red flag. Are the American people paying attention? Completely blowing the lid off of 'Clinton crime family' corruption, the CIA insider confirms Wikileaks' Julian Assange recent statement that it wasn't Russia responsible for all of this bombshell information recently coming out on Wikileaks that would lead to the hanging of any 'ordinary American' but intelligence operators within the US who are working to make sure Hillary and the CCF fall. With Donald Trump now the only real opposition between Hillary and a White House that could include a possible World War 3 against Russia that turns into nuclear annihilation for America and the deaths of millions of Americans within her first few months in office, we have to ask how a president who won a Nobel Prize for Peace could possibly back a war criminal with a body count that stretches from Benghazi to Belgium? 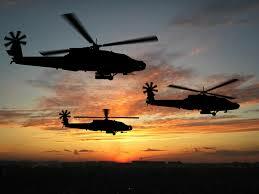 Have you gone totally insane, Barack Obama, or was more and more and more war your plan? Hasn't there already been enough death in Syria and the Middle East on your watch? If you're really backing Hillary, you should be ashamed of yourself. How much blood does Donald Trump have on his hands? None that we know of. How about the blood on his hands compared to the hands of Hillary? And is it not bad enough that Hillary has the blood of American heroes on her hands? The fact that this administration would even think about letting her anywhere near the White House shows us exactly what our politicians have become, cold blooded murderers. So....Hillary fits the globalist mafia's bill. As we approach the final days before election 2016, ANP would like to thank the countless American heroes within our intelligence and law enforcement communities who will probably forever remain nameless and faceless for speakling out, leaking incriminating documents and doing the right thing for America. Should Donald Trump win in November and America make it to January without Obama and the globalists pulling off a 'Brexit-like' denial of Trump's presidency, each and every one of you deserves the warmest thank you from America that you may never get. From ANP and our readers, we sincerely thank you. 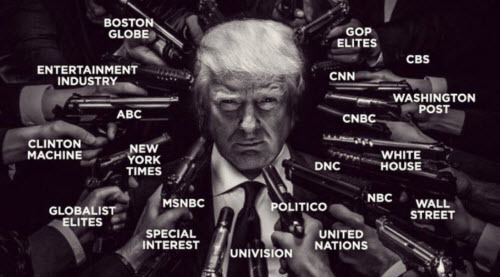 Might Donald Trump and the 'deplorables' dodge the bullets of a countless number of globalists guns aiming straight at his and all of our heads? While we once reported that only the Will of God could keep Hillary out of the White House, we're getting more and more indications every day that He is indeed working in His mysterious ways. 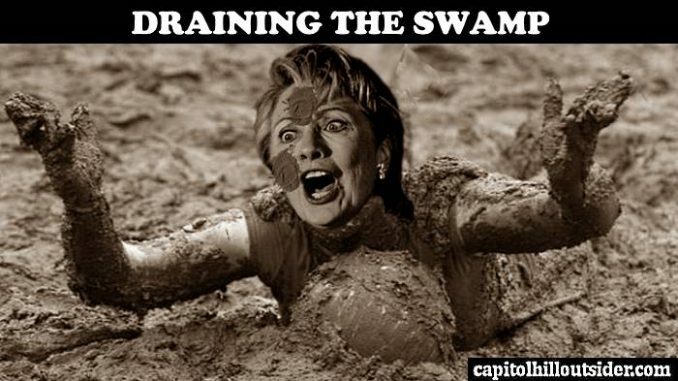 With Americans nationwide ready to drain the DC swamp, the fact that NYPD insiders are blowing the whistle on new Hillary emails, claiming not only money laundering but the vilest of all 'pay to play' schemes to go along with perjury, proves America has arrived at its 'most dangerous hour' with US Patriots coming out of the woodwork to do their best to make sure the CCF falls. And to see politicians such as Green Party presidential candidate Dr. Jill Stein and other 'progressives' now distancing themselves from Clinton gives us hope that maybe America will indeed come to its sanity before its too late. To take back America from the most widespread and mass corruption that we've ever seen, it will take the 'Trump Democrats' who long ago grew disgusted with Clinton along with the 'deplorables' across America together to send a loud and resoundingly clear message to the globalists. Imagine the message a Trump slandslide would send. The fact that a rather large number of nameless, faceless American heroes have come forth to spread truth as America faces our most dangerous hours with the most evil 'crime family' America has ever faced in politics only days away from being voted into the White House speaks volumes. As Savage tells us, America may be on the verge of civil war. We pray that moment never comes. We also pray that 'America's next revolution' takes place at the voting booth on Tuesday in a peaceful manner as America begins the long and tedious process of draining the DC swamp. As we hear in the 2nd video below, a brand new Donald Trump advertisement, if Hillary Clinton is unfit to even handle her own classified emails, exposing a countless number of American public servants to possible danger, Hillary Clinton is unfit to lead America. If she wins the presidency in just days, America will have proven it deserves to go down with her. While this entire 1st video is well worth listening to with Savage once again on fire and ripping the corruption within the Clinton Foundation and parts of this govt to shreds, the CIA insider joins Savage at the 24 minute 30 second mark. ...the Tweets below from the Twitter account of Hector Morenco suggest, this may be America's very last chance to set things straight. 'The Saker' Mourns: "What Happened To The West I Was Born In?" END OF THE WEST? (via The Aviationist) The B-2 stealth bomber and the heaviest US bomb, the 30,000-lb GBU-57 Massive Ordnance Penetrator (MOP). Negotiators are working toward a June 30 deadline for a comprehensive nuclear agreement with Iran. Should the negotiations ultimately fail and the talks fall apart, the Obama administration and any future US president will have what Michael Crowley of Politico describes as an awe-inspiring "plan B" — the Massive Ordnance Penetrator (MOP). According to Crowley, the US has practiced at least three attack runs over the New Mexico desert. These runs have been flown by B-2 bombers and are meant to test the US' trump card against any attempt to procure a nuclear weapon, the Massive Ordnance Penetrator. MOP, which is 20 feet long and weighs 15 tons, "boggles the mind," according to a former Pentagon official who spoke to Politico after watching footage of the tests. The BLU-109 has a 535-pound warhead and weighs about a ton. The MOP carries about 5,300 pounds of explosives, giving it an explosive yield about an order of magnitude greater than the weapon in the video. The MOP is the world's largest nonnuclear weapon. Designed to hit hardened targets, bunkers, and locations deep under ground, the MOP hits the ground at supersonic speed after being released from a B-2 bomber. After impact, the bomb can burrow through 200 feet of earth and 60 feet of concrete before detonating. In the event that negotiations fail, the US is in a position to launch a series of MOP strikes against Fordow, a once secret nuclear facility contained within a hollowed-out mountain and specially hardened against aerial attack. The centrifuges at Fordow are capable of enriching uranium, which could be used for a nuclear weapon. Destroying Fordow would be a difficult endeavor despite the size and sheer force of the MOP. Politico notes that the total destruction of the facility would likely require multiple B-2s dropping MOPs at the same GPS-designated location to ensure that the bombs would be able to drill through both the side of the mountain and the facility's hardened shell before detonating. (U.S. Air Force photo/Gary Ell) The B-2 is the only aircraft capable of carrying MOP. But the MOP is supposed to be used in exactly these kinds of coordinated strikes. According to The Wall Street Journal, the bomb is designed to be dropped in pairs. The first is meant to clear a path for the second hit, heightening the bombs' potent penetration capabilities. Unnamed officials told The Journal that the MOP's devastation potential is unlike any nonnuclear weapon ever built. The weapons have been designed by the US to destroy hardened facilities within North Korea and Iran. Should the US decide to carry out bombing runs against Iranian nuclear sites, the US could run into substantial difficulties. (Google Sat. Image) Iran's Fordow facility. Russia has announced that it would be willing to sell the S-300 air-defense system, which can hit aircraft at high altitude from a 150-mile range, to Iran. If Iran were to acquire the S-300s, Tehran would be able to set up a formidable ring of defense around its nuclear sites. This would make Iranian air defenses much more difficult to overcome, raising the scale and the stakes of any US bombing run against the country's nuclear facilities. The MOP is unique for its ability to penetrate enemy defenses, but it is not the largest bomb the US has ever built. That title goes to the T-12 Cloudmaker, a World War II-era bomb that clocked in at over 40,000 pounds. What Putin, an intelligence professional of the highest order, only hinted at in his remarks, I have documented in detail from non-Russian sources. The report has enormous implications to reveal to the world the long-standing hidden agenda of influential circles in Washington to destroy Russia as a functioning sovereign state, an agenda which includes the neo-nazi coup d’etat in Ukraine and severe financial sanction warfare against Moscow. The following is drawn on my book, Amerikas’ Heilige Krieg. Many in the mainstream media (e.g. NPR, KHOU TV) will boldly tell you that Jade Helm is not worth losing your head over when in actuality, the final phase of Jade Helm may result in millions of American Christians losing their heads. Glen Beck has reported that this present administration has published another “enemies of the state list”. Number one on the list are Evangelical Christians. Also on the list are Catholics and Mormons. Mormons? Now we know why Utah was one of three areas declared to be a hostile state by Jade Helm documentation. Watch out for the upcoming Mormon fertilizer bombs. Utah is now declared to be a hostile state and Mormons are on the DHS list as domestic terrorists according to both DHS and Jade Helm. Internment camps for political dissidents in the U.S. aren’t a conspiracy theory. The Department of Defense document entitled “INTERNMENT AND RESETTLEMENT OPERATIONS” or FM 3-39.40 proves this beyond a shadow of a doubt. N-43. Soldiers and Marines who are assigned training missions receive a course of preparation to deal with the specific requirements of developing the target HN confinement officers (i.e. foreign detention officers). The course should emphasize the cultural background of the HN, introduce its language (to include specific confinement-related terms and phrases) and provide insights into cultural tips for developing a good rapport with HN personnel. The beginning of this section attempts to create the illusion that foreign troops will be under the complete control of Army personnel. However, I believe it is likely that the mass exterminations of the detainees will take place when the American military is withdrawn from the facilities. If there was any doubt as to the fact that our soon-to-be jailers will be foreign and will have no hesitation to carry out mass genocide, the following regulation from the document should remove all doubt. N-48. Training programs are designed to prepare HN personnel to eventually train themselves. Indigenous trainers are the best trainers and should be used to the maximum extent possible. The day that the detainees hear the engines start up and the American military vacates the concentration camps, is the day that they all better “get right with God”. Why would each section of the camps described in FM 3-39.40, need to have a mortuary for every 4,000 prisoners unless the death rate was going to incredibly high? This should be a direct tip off that these camps are NOT just designed to house prisoners, these camps exist to execute prisoners. And what does an investigation unveil about the nature of the camps? These camps are eventually going to be run by foreign troops, who in turn, will train other foreign troops to work in the camps. And what will be the method of execution? Revelation 20:4 states that “Then I saw thrones, and they sat on them, and judgment was given to them. And I saw the souls of those who had been beheaded because of their testimony of Jesus and because of the word of God, and those who had not worshiped the beast or his image, and had not received the mark on their forehead and on their hand; and they came to life and reigned with Christ for a thousand years”. And who will behead these Christians? Take a look at Sura (chapter) 47 contains the ayah (verse): “When you encounter the unbelievers …. He and his followers beheaded opponents, Christian and Muslim alike…” Sura 8 [al-Anfal]:12 states “I will cast dread into the hearts of the … caliphs beheaded tens of thousands of Christians, admittedly many of them …” This is the justification for ISIS to be performing the heinous acts of ISIS beheading Christians. It is clear that both Christianity and Islam foretell a time when non-believing infidels (i.e. Christians) will be beheaded by radical Muslim extremists (i.e. ISIS). It is also clear that this prophecy is being fulfilled in our time and that we are nowhere near the pinnacle of this event. I get understandably nervous, at the prospect of guillotines on American soil, as I watch the endless series of beheadings of Christians in the Middle East by the CIA supported ISIS. The following represents a small sample size of what is happening to Christians and their subsequent mass beheadings at the hands of ISIS. When retired FBI agent, the now deceased Ted Gunderson, told a gathering of militia members that the federal government had set up 1,000 internment camps across the country, I had no trouble believing his statement because there is ample documentation to support his statement (e.g.REX 84, Operation Garden Plot and now the NDAA). 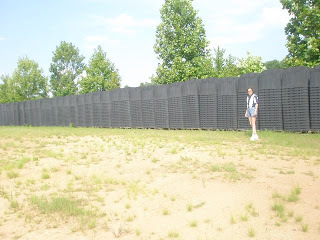 However, when Gunderson reported that the federal government was storing over 500,000 caskets outside of Atlanta, I also knew he was accurate on this point because Sherrie Wilcox found the evidence in the adjacent photo. However, when I heard that Gunderson was accusing the government of storing 30,000 guillotines, I thought he had lost his mind. Why Would the Government Want to Store Guillotines? Gunderson told various patriot groups that the guillotines were being stored for the day that the government declares martial law and moves in to round up and execute American dissenters. 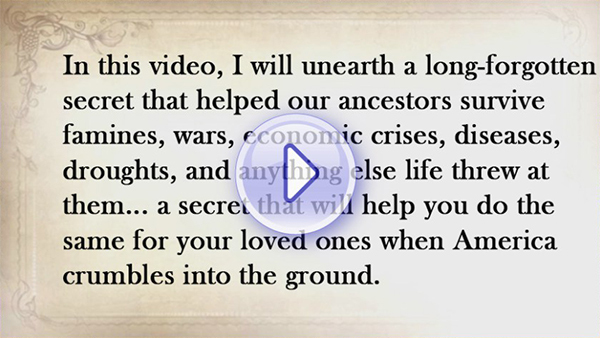 Gunderson prophetically told patriot groups that the federal government was going to keep track of all of us. The last statement has indeed proven accurate given the recent Snowden/NSA scandal. Can somebody please explain to me why the government would need to order 30,000 guillotines? For what legitimate purpose could these tools of execution be utilized? The guillotine has never been used inside of the United States. The United States has executed people by firing squad, hanging, the electric chair and lethal injection. The US has never executed a convicted criminal through the use of the guillotine. Given these facts, then why is this government importing 30,000 guillotines as Gunderson claimed? Oh, I know that some of the sheep are now looking up from the ground and have just said “there aren’t any guillotines in the United States.” Then please tell me, sheep of America, why did Representative Doug Teper, of the Georgia Legislative Assembly (Democrat) introduced a bill which will supplant the method of execution, the electric chair, with the guillotine back in 1995-6? The referenced bill was Georgia State House Bill (1995-6) HB 1274– Death penalty; guillotine provisions. Certainly, Teper would have never thought that this was possible if there were not already guillotines inside of the United States. Has anyone bothered to do the math? A single guillotine reportedly can chop off the heads of about 100 people per hour. In one hour, the federal government has the capacity to execute as many as three million people. In one ten hour day, 30 million people could be executed by way of the guillotine. What did Bill Ayers, the one-time head of the Weatherman Underground, tell FBI special informant, Larry Grathwohl about the need to kill 50 million Americans in re-education camps in the Southwest after they take over the country? 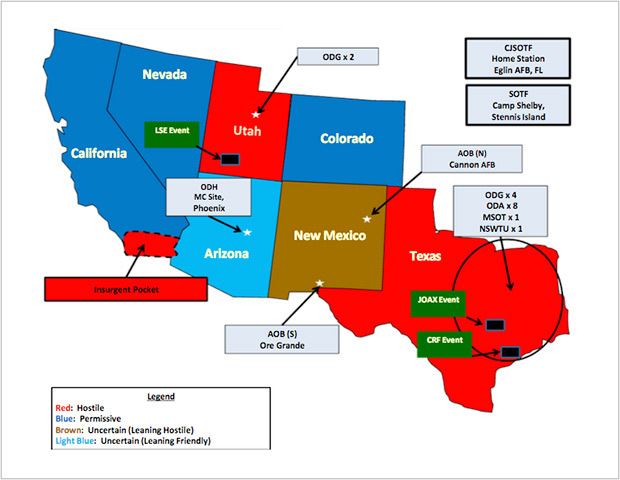 Isn’t Jade Helm focused on the Southwest? Didn’t Bill Ayers launch Obama’s political career from the living room of his Chicago home? Isn’t Obama being soft on ISIS? Why Is ISIS Being Left Untouched? Obama says he is willing to chase ISIS into Syria and risk war with Russia. Then why is he leaving, untouched, the ISIS camp reported by Judicial Watch 8 miles from El Paso? ISIS has already attempted to attack Americans at the Geller event in Garland, TX. Islamic State terrorists in Iraq beheaded four Christian kids who refused to renounce their faith and become Muslim. A British female who did convert to Islam recently threatened to behead Christians “with a blunt knife,” according to the Daily Mail. Even Christians who convert to Islam get beheaded. It is time to do some much needed dot connecting through the use of questions that can all be answered in the affirmative. From people like former Special Operations officer, Scott Bennett, we know that the CIA is controlling ISIS. We also know that Jade Helm, or its successor will ultimately place America under martial law following the extraction of political dissidents. What will happen to America after martial law is in place? What about FM 3-39.40 and the policy which will have foreign troops running the FEMA camps? In Pastor Mansfield’s FEMA camp training revelations, under the Clergy Response Team training, why were pastors instructed to not quote from the Bible? With the CIA in charge of ISIS, will ISIS be helping to man these camps? Instead of feeding the Christians to the lions, will they instead be fed to these jackals whose favorite pastime is beheading Christians? ISIS: "We are here and we are funded by your government through Swiss banks". Have you ever wondered why President Obama is so willing to chase ISIS into Syria and risk war with Russia, but he allows an ISIS base camp to remain intact only 8 miles from El Paso? Both this article and the subsequent interview will answer the aforementioned question while demonstrating how the U.S. is funding the very enemy we are supposed to be trying to destroy. All is revealed in this “tell-all” in one of the most important interviews ever conducted on The Common Sense Show. ISIS is funded by the CIA, so says Scott Bennett who is a U.S. Army Special Operations Officer (11th Psychological Operations Battalion, Civil Affairs-Psychological Operations Command), and a global psychological warfare-counterterrorism analyst, formerly with defense contractor Booz Allen Hamilton. He received a Direct Commission as an Officer, held a Top Secret/Sensitive Compartmentalized Information (TS/SCI)security clearance, and worked in the highest levels of international counterterrorism in Washington DC and MacDill Air Force Base in Tampa, Florida. He has developed and managed psychological warfare theories, products, and operations for U.S. Special Operations Command, U.S. Central Command, the State Department Coordinator for Counterterrorism, and other government agencies. Bennett served in the G.W. Bush Administration from 2003 to 2008, and was a Social Science Research Fellow at the Heritage Foundation. His writings and lectures seek to enhance global awareness and understanding of modern psychological warfare, the international military-intelligence community, and global surveillance operations being artificially generated under the spectre of “National Security”. Scott Bennett was my guest on Sunday night, May 3, 2015, on The Common Sense Show. At least he was supposed to be my guest until both the servers and the live stream feeds, which are housed three thousand miles apart, were taken down by an unknown source. Fortunately, we were still heard by phone, but that was all. Scott Bennett is an expert on terrorism and the moment we got too deeply into the topic, somebody pulled the plug on our satellite provider, in multiple locations. However, the interview was preserved on our archives and is available for listening. What the bad guys must not realize that about 40 times more people listen to the archives than the live broadcast. The net effect of taking down the bulk of our interview with Scott Bennett will be about the same as was NPR’s lame attempt to collectively disparage my reporting on Jade Helm. On May 3, my website analytics revealed that about 20,000 NPR readers actually came to The Common Sense Show website, directly from NPR, to take a look around because of the negative article. Thanks NPR and thanks to the people who attacked our show last night. As word spreads about how The Common Sense Show was attacked, the curiosity factor will double or triple our normal listenership. Thanks to NPR and the other would-be-assassins of the truth for helping our staff spread the truth partially through the law of unintended consequences. During the course of the interview, we spoke extensively on how 9/11 was most likely a CIA/Mossad operation and key written records were destroyed in two locations both at Building 7 and at the Pentagon. Had the financial records from either site ever been made public, this government would have been brought to its knees because of the massive financial corruption that would have been revealed. We also spoke of Russian-American relations and the tragedy and needless rise of the new Cold War. Bennett stated our corporate greed and American hegemony has placed us in a position where we are now isolated from our allies and Europe is in the process of turning their collective backs on the United States in which Germany, for example, is likely to leave NATO and align with Russia. Bennett has written extensively on the intelligence community’s surveillance activities addressed by Edward Snowden’s National Security Agency-Central Intelligence Agency materials; and since 2010, Bennett has filed numerous military-government whistle-blowing reports with Congressional Committees, including: the Intelligence, the Armed Services, the Government Oversight and Reform, the Homeland Security, the Judiciary, the Foreign Affairs, the Banking, and the Terrorism Committees. He has communicated with over a hundred Federal representatives, Senators, senior military officers and Pentagon officials, and journalists about the scandalous abuses of power and deception being employed against the American people by its own military-intelligence community; and the most damning report brought into the public sector occurred when he filed legal action against Booz Allen Hamilton and the Department of Defense for their involvement in secret Swiss Bank Terrorist Finance Operations, in which he uncovered with the help of Union Bank of Switzerland whistleblower, Brad Birkenfeld a massive terrorist funding program. We know that ISIS got its “beginnings” from U.S. military equipment deliberately left behind in Iraq. Bennett and I both agree that to leave unsecured weapons on a former battlefield was undoubtedly an intentional act because of the strict military protocols against such a practice. Again, he views ISIS, which is a hybrid terrorist organization, as the artificial creation of the CIA and the Mossad in a joint operation. Ultimately, chasing ISIS into Syria will result in Russian intervention and World War III. But first, we have to contend with ISIS on our doorstep, only 8 miles from El Paso. This is the quintessential false flag cover in which they hope to convince most of America to accept martial law out of ignorance to the role that the CIA and its allies will have played in the event. This parallels the letter I received from the Texas Ranger on the same topic in which he claimed that the Rangers are bracing for an attack by ISIS against targets in Texas. Scott Bennett’s information is so sensitive and so many careers and even individual freedoms rests upon what he reveals, or keeps secret, there are many who would like to see him dead. Subsequently, Bennett has taken steps to insure his longevity. Bennett is all too keenly aware of what was done to journalist Michael Hastings after he and Michael Isikoff (NBC News) began investigating Bennett’s reports and materials in relation to the Edward Snowden and Brad Birkenfeld connections (CIA-NSA-Swiss Banks-Booz Allen Hamilton-Terrorist Finance). The Birkenfeld, Swiss banking connection, is telling. Birkenfeld oversaw money placed in Swiss bank accounts and then redistributed to terrorist organizations around the world. Subsequently, there are many who would like to see him dead. Bennett has taken steps to insure his longevity. Individuals have been killed for far less and Bennett issues the following warning on his website. WARNING: The leadership of our present administration is a criminal enterprise. They have completely forsaken their oath of office. 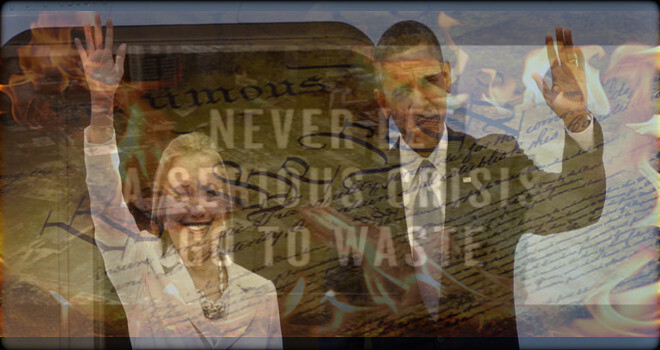 Administration officials are guilty of violating every precept of the United States Constitution. They have engaged in massive lying to the American people, and have absconded with American taxpayer money in order to enrich their corporate and bankster benefactors. They will not hesitate to install a brutal form of martial law in which untold numbers of American citizens will lose their lives and they are practicing for this eventuality, right now, through Jade Helm. These criminals in suits will think nothing about sending our children off to war to die in order to increase the bottom line of the banksters. They will dress up this coming war as the patriotic thing to do. However, patriotism only serves to conceal the underlying and insatiable lust for power and wealth. This administration does not serve the needs of the people, we are its subjects and soon to be its slaves. Scott Bennett has only scratched the bare surface of how bad it is going to get here in the land of the free and the former home of the brave. I weep for the loss of my nation. Long live the King, the King is dead. The interview with Scott Bennett can be heard by going to this link. Scroll down to the date, May 3, and simply follow the prompts. The interview is housed in hour number one and hour number two. Texas Republican Gov. Greg Abbott ordered the Texas National Guard to monitor a joint U.S. Special Forces training taking place in Texas, prompting outrage from some in his own party. Texas Gov. 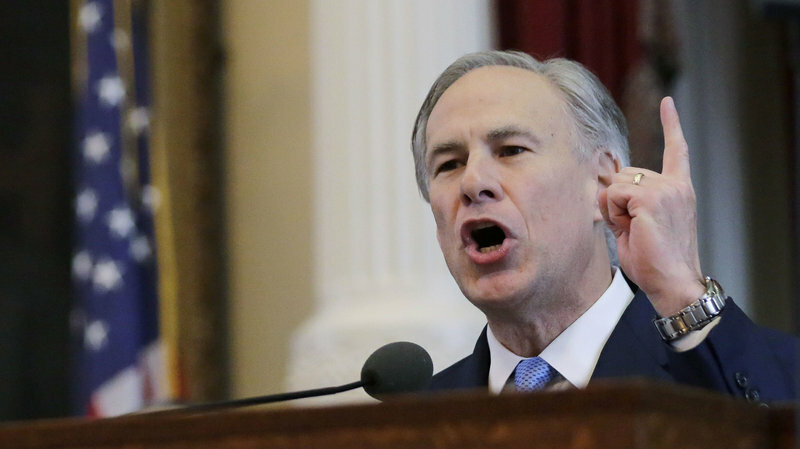 Greg Abbott announced he was ordering the Texas National Guard to monitor a Navy SEAL/Green Beret joint training exercise, which is taking place in Texas. It did not take long for the mainstream media to defend the Jade Helm operations as being as patriotic as apple pie and anyone who does not think so is a tin-foil hat wearing conspiracy theorist. NPR quoted yours truly in a sarcastic manner in order to attack Governor Abbott by denigrating, without facts, my reporting of the presence of the ISIS base camp 8 miles from El Paso. However, the NPR propaganda piece forgot to mention that I was quoting from a double sourced report from Judicial Watch. The NPR piece is a simple case of another MSM outlet attempting to mislead the public by obfuscating the truth. NPR reporter, Wade Goodwyn, further chastised my report on the closing of the Walmarts for bogus plumbing reasons as Goodwyn inferred that Governor Abbot is falling under my psychotic based influence by ordering the National Guard to monitor the appropriateness of Jade Helm operations. When today’s MSM reporters-in-training are taught how to write a story that is pleasing to globalists, do they also have to double major on how to lie and deceive the public? It is interesting, that NPR’s Goodwyn did not offer one shred of proof to counter my previous expressed concerns regarding my reports on the collective concerns that the Independent Media has over Jade Helm. Rather than offer facts, Goodwyn only offered sarcasm as a means to discredit my reporting that Governor Abbot has apparently taken to heart. I want to specifically thank Governor Abbott for doing the right thing and honoring his Constitutional duty to his citizens by protecting their interests by having the National Guard monitor Jade Helm. Former State Representative, Todd Smith, wrote Governor Abbott. 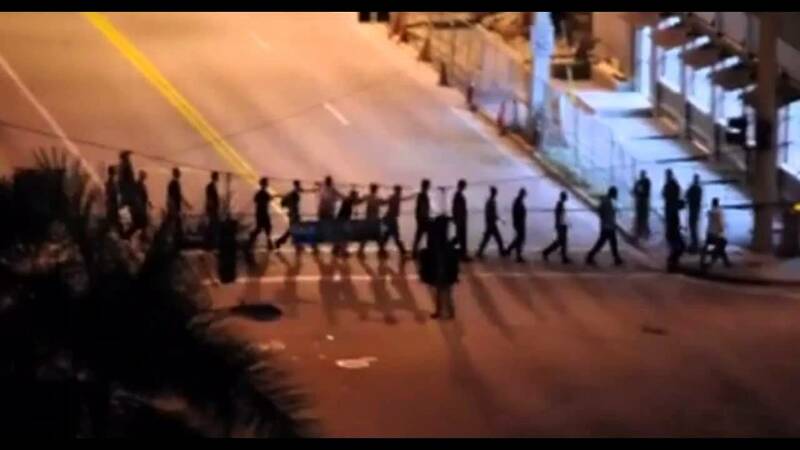 “I am horrified that I have to choose between the possibility that my Governor actually believes this stuff and the possibility that my Governor doesn’t have the backbone to stand up to those who do.” Obviously Representative Smith has not seen the following picture of a political dissident extraction drill held in Ft. Lauderdale on March 27, 2015. Excuse me Rep. Smith and NPR reporter, Wade Goodwyn, how do you explain this? What does your governor know that you do not? 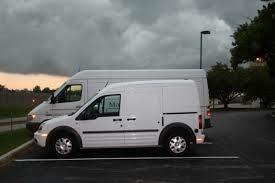 Attention NPR reporter Wade Goodwyn and Rep. Smith, these political dissident actors were also taken to these vans for transport to a holding facility. Maybe this is why Smith is a FORMER representative because they could see through this charlatan. Mr. Goodwyn, would you say that all of this was photoshopped along with the helicopters that were also a part of the drill? Please view the following video regarding the MSM reports now surfacing which are defending Jade Helm at all costs. Also, please note the people of Bastrop County which are not believing the military officer, or their County Commissioners regarding the true nature of Jade Helm. If the rest of the country had the common sense and intestinal fortitude of the people of this county, perhaps the globalists would not have been able to hijack our government without a fight. I would be remiss, if I did not mention that the following TV report from KHOU TV, from Houston, falsely accused me of stating that Americans are being “slaughtered” inside of the death domes which are springing up in Texas. This statement by this Houston TV station is totally false. In the face of condemning evidence that Jade Helm poses a real threat to the American people, the MSM has reported to abject lying. Three days ago, CBS news also defended Jade Helm as being a patriotic exercise which is designed for you and me. The MSM is running scared and we need to keep the pressure on as we awakening several thousand people each day. Says Scott Bennett and he is a U.S. Army Special Operations Officer (11th Psychological Operations Battalion, Civil Affairs-Psychological Operations Command), and a global psychological warfare-counterterrorism analyst, formerly with defense contractor Booz Allen Hamilton. He received a Direct Commission as an Officer, held a Top Secret/Sensitive Compartmentalized Information (TS/SCI)security clearance, and worked in the highest levels of international counterterrorism in Washington DC and MacDill Air Force Base in Tampa, Florida. ISIS: “We are here and we are funded by your government through Swiss banks”. Has Russia Changed the Future of Warfare and Rendered High-Tech US Weapons Systems Inoperable? Via a tip from an ANP trusted source, we see a few pieces of a puzzle that when added to the big picture offers us insight to what could be one of the biggest game changers in history, putting the Russian military in a position of total dominance over the US military in any upcoming war, which as was explained in an earlier article, is rapidly approaching. Russia’s new Richag-AV radar and sonar jamming system can be mounted on helicopters, ships and other military equipment to jam potential adversaries’ weapons systems from distances of several hundred kilometers away; it has been hailed by developers as having no analogue anywhere in the world. Sounds a lot like the type of advanced technology that was described in the November report about Russia’s ability to completely render one of America’s most advanced missile destroyers completely inoperable, doesn’t it? The Navy is continually developing their ocean strategy, aimed at protecting government interests and its economic activity in deferent regions of the world. “The Navy is able to meet the requirements, with surface ships and nuclear-powered submarines, to accomplish a range of tasks for the purpose from different remote basing points,” said Chirkov. In March 2015, Sputnik also specifically highlighted a “catastrophic event” when a US military satellite, after suffering a “sudden spike in temperature,” exploded, sending dozens of chunks of debris hurtling into Earth’s orbit. Was this a shot across the bow from Russia, showing exactly what they could do, not only to our warships, planes and submarines, but to our satellite systems as well? Our source tells us this is “actually the biggest story in the world,” because if Russia is capable of disabling the USS Donald Cook and the entire US Navy with their “revolutionary electronic warfaresystems,” then Russia has already won any type of traditional war. This would leave the US one option, the nuclear option and as was explained in the previous article, Russia is already preparing for that as well. The full impact of Western intervention in Libya was recently highlighted during a televised interview of Worlds Apart with guest Hanne Nabintu Herland, a Norwegian author and historian who was born and raised in Africa for 20 years. In a just world, the political leaders in the West, that have done such atrocities towards other nations and other cultures, should have been sent to the Hague [International Criminal Court], and judged at the Hague, for atrocities against humanity. Then, around 2:30 a.m., masked men burst into a housing complex in Sirte, Libya. The militants went room to room checking ID cards to separate Muslims from Christians, seizing only the latter. They handcuffed the Christians and rode off with them. A few days later, another Coptic Christian, Salama Fawzi, 24, was shot in the head while unloading food in front of his grocery stand in Benghazi, again, by several “unknown gunmen.” And the day after that, another corpse was found, believed to be that of a Copt—due to the small cross tattooed on his wrist traditionally worn by Egyptian Christians. As previously mentioned, Muslim persecution of Christians is the litmus test of how “radical” an Islamic society has become. Thus, in all those Mideast nations that the Obama administration and its Western allies have interfered—Egypt (under Morsi), Libya, and ongoing Syria—the increase of Christian persecution there is a reflection of the empowerment of forces hostile to everything Western civilization once stood for. The official drum- beat for a widening conflict in Ukraine, spearheaded by the Kiev junta and its fascist militias, echoes in every Western mass media outlet, every day. Major mass media propaganda mills and government ‘spokesmen and women’ publish or announce new trumped-up accounts of growing Russian military threats to its neighbors and cross-border invasions into Ukraine. New Russian incursions are ‘reported’ from the Nordic borders and Baltic states to the Caucuses. The Swedish regime creates a new level of hysteria over a mysterious “Russian” submarine off the coast of Stockholm, which it never identifies or locates – let alone confirms the ‘sighting’. Estonia and Latvia claim Russian warplanes violated their air space without confirmation. Poland expels Russian “spies” without proof or witnesses. Provocative full-scale joint NATO-client state military exercises are taking place along Russia’s frontiers in the Baltic States, Poland, Romania and Ukraine. NATO is sending vast arms shipments to the Kiev junta, along with “Special Forces” advisers and counter-insurgency experts in anticipation of a full-scale attack against the rebels in the Donbas. The Kiev regime has never abided by the Minsk cease fire. According to the UN Human Rights office 13 people on average –mostly civilians –have been killed each day since the September cease fire. In eight weeks, the UN reports that 957 people have killed –overwhelmingly by Kiev’s armed forces. The Kiev regime, in turn, has cut all basic social and public services to the Peoples’ Republics’, including electricity, fuel, civil service salaries, pensions, medical supplies, salaries for teachers and medical workers, municipal workers wages; banking and transport have been blockaded. The strategy is to further strangle the economy, destroy the infrastructure, force an even greater mass exodus of destitute refugees from the densely populated cities across the border into Russia and then to launch massive air, missile, artillery and ground assaults on urban centers as well as rebel bases. The Kiev junta has launched an all-out military mobilization in the Western regions, accompanied by rabid anti-Russian, anti-Eastern Orthodox indoctrination campaigns designed to attract the most violent far right chauvinist thugs and to incorporate the Nazi-style military brigades into the frontline shock troops. The cynical use of irregular fascist militias will ‘free’ NATO and Germany from any responsibility for the inevitable terror and atrocities in their campaign. This system of ‘plausible deniability’ mirrors the tactics of the German Nazis whose hordes of fascist Ukrainians and Ustashi Croats were notorious in their epoch of ethnic cleansing. To isolate and weaken resistance in the Donbas and guarantee the victory of the impending Kiev blitz, the EU and the US are intensifying their economic, military and diplomatic pressure on Russia to abandon the nascent peoples’ democracy in the south-east region of Ukraine, their principle ally. Each and every escalation of economic sanctions against Russia is designed to weaken the capacity of the Donbas resistance fighters to defend their homes, towns and cities. Each and every Russian shipment of essential medical supplies and food to the besieged population evokes a new and more hysterical outburst – because it counters Kiev-NATO strategy of starving the partisans and their mass base into submission or provoking their flight to safety across the Russian border. After suffering a series of defeats, the Kiev regime and its NATO strategists decided to sign a ‘peace protocol’, the so-called Minsk agreement, to halt the advance of the Donbas resistance into the southern regions and to protect its Kiev’s soldiers and militias holed-up in isolated pockets in the East. The Minsk agreement was designed to allow the Kiev junta to build up its military, re-organize its command and incorporate the disparate Nazi militias into its overall military forces in preparation for a ‘final offensive’. Kiev’s military build-up on the inside and NATO’s escalation of sanctions against Russia on the outside would be two sides of the same strategy: the success of a frontal attack on the democratic resistance of the Donbas basin depends on minimizing Russian military support through international sanctions. NATO’s virulent hostility to Russian President Putin was on full display at the G20 meeting in Australia: NATO-linked presidents and prime ministers, especially Merkel, Obama, Cameron, Abbott, and Harper’s political threats and overt personal insults paralleled Kiev’s growing starvation blockade of the besieged rebels and population centers in the south-east. Both the G20’s economic threats against Russia and the diplomatic isolation of Putin and Kiev’s economic blockade are preludes to NATO’s Final Solution – the physical annihilation of all vestiges of Donbas resistance, popular democracy and cultural-economic ties with Russia. Kiev depends on its NATO mentors to impose a new round of severe sanctions against Russia, especially if its planned invasion encounters a well armed and robust mass resistance bolstered by Russian support. NATO is counting on Kiev’s restored and newly supplied military capacity to effectively destroy the southeast centers of resistance. NATO has decided on an ‘all-or-nothing campaign’: to seize all of Ukraine or, failing that, destroy the restive southeast, obliterate its population and productive capacity and engage in an all-out economic (and possibly shooting) war with Russia. Chancellor Angela Merkel is on board with this plan despite the complaints of German industrialists over their huge loss of export sales to Russia. President Hollande of France has signed on dismissing the complaints of trade unionists over the loss of thousands French jobs in the shipyards. Prime Minister David Cameron is eager for an economic war against Moscow, suggesting the bankers of the City of London find new channels to launder the illicit earnings of Russian oligarchs. Russian diplomats are desperate to find a compromise, which allows Ukraine’s ethnic Ukraine- Russian population in the southeast to retain some autonomy under a federation plan and regain influence within the ‘new’ post-putsch Ukraine. Russian military strategists have provided logistical and military aid to the resistance in order to avoid a repeat of the Odessa massacre of ethnic Russians by Ukrainian fascists on a massive scale. Above all, Russia cannot afford to have NATO-Nazi-Kiev military bases along its southern ‘underbelly’, imposing a blockade of the Crimea and forcing a mass exodus of ethnic Russians from the Donbas. Under Putin, the Russian government has tried to propose compromises allowing Western economic supremacy over Ukraine but without NATO military expansion and absorption by Kiev. That policy of conciliation has repeatedly failed. The democratically elected ‘compromise regime’ in Kiev was overthrown in February 2014 in a violent putsch, which installed a pro-NATO junta. Kiev violated the Minsk agreement with impunity and encouragement from the NATO powers and Germany. The recent G20 meeting in Australia featured a rabble-rousing chorus against President Putin. The crucial four-hour private meeting between Putin and Merkel turned into a fiasco when Germany parroted the NATO chorus. Putin finally responded by expanding Russia’s air and ground troop preparedness along its borders while accelerating Moscow’s economic pivot to Asia. Most important, President Putin has announced that Russia cannot stand by and allow the massacre of a whole people in the Donbas region. Is Poroshenko’s forthcoming blitz against the people of southeast Ukraine designed to provoke a Russian response – to the humanitarian crisis? Will Russia confront the NATO-directed Kiev offensive and risk a total break with the West? "Today there is fighting in eastern Ukraine. The Ukrainian central authorities have sent the armed forces there and they even use ballistic missiles. Does anybody speak about it? Not a single word. And what does it mean? What does it tell us? This points to the fact, that you want the Ukrainian central authorities to annihilate everyone there, all of their political foes and opponents. Is that what you want? We certainly don't. And we won't let it happen." The Russian original sentence is: "Вы этого хотите? Мы не хотим. И не позволим." I personally would translate this sentence "You want that? We don't. And we will not allow this." You could also translate the last part as "we will not permit this". This is not an expression of a preference or a much more vague "we won't condone" or "we oppose". This is a very categorical statement which warns that Russia will proactively prevent such an outcome. Preparedness for a nuclear conflict could prove as the foremost tactical advantage of Russia over the United States, likely positioning Moscow to score a win in case a shooting World War III with Washington as nemesis erupts.